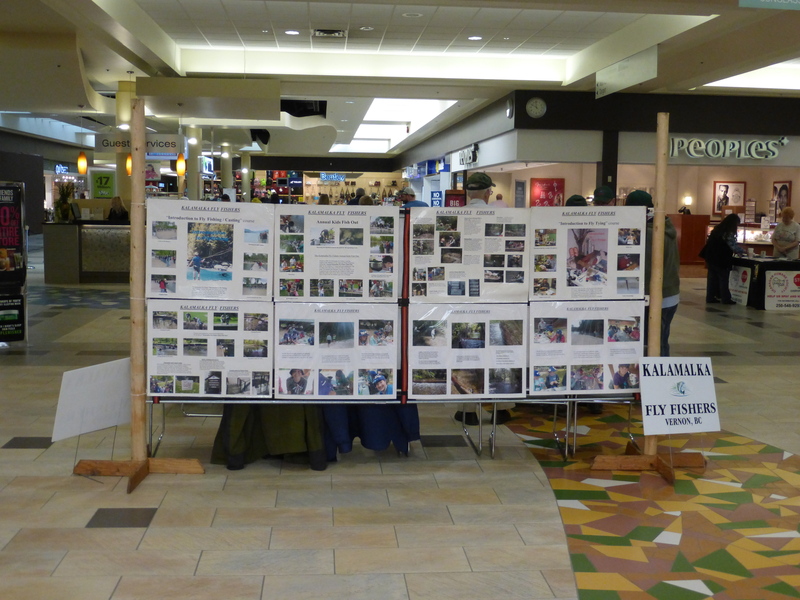 Welcome to the Kalamalka Flyfishers Society (KFF). 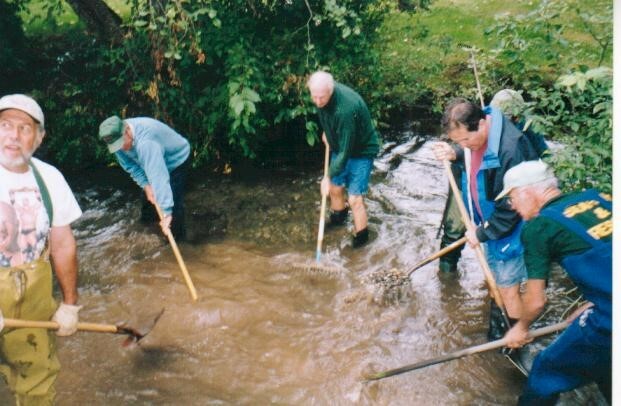 As avid fly fishers, we are concerned and active in the conservation, protection, and restoration of fish habitat in the Vernon and surrounding areas. Education in all areas of fly fishing is a major part of what we do. Whether it is learning to cast using a fly rod, tie your own flies, build your own fly rod or improve your skills, we can help with classes or self-help opportunities. Getting out and going fishing is what it is all about. Especially getting children started in fishing and maybe one day into fly fishing is our goal. You are never too young or old to start. Drop in and see what we are all about. We meet every Monday 7 pm – 9 pm (except holidays) from September until the end of June. There might not be anyone there in July and August, we’ve all gone fishing for the summer. The first Monday of the month is the business meeting, not very exciting but you are invited to see for yourself. check the events calendar to see what’s happening. 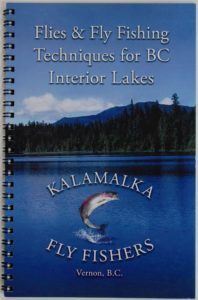 Produced by the members of the Kalamalka Flyfishers Society, this book contains 101 flies recommended by the members for use in the BC interior lakes. Each fly is shown with a colour photo and tying menu. 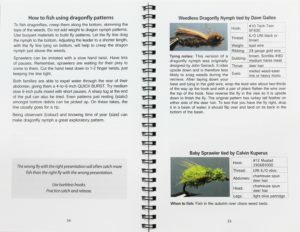 The book contains a fly selection chart, based on member’s local expertise, providing the good, better and best times to fish a particular fly. With 13 section based on the type of fly (chironomids, mayflies, leeches, etc.) 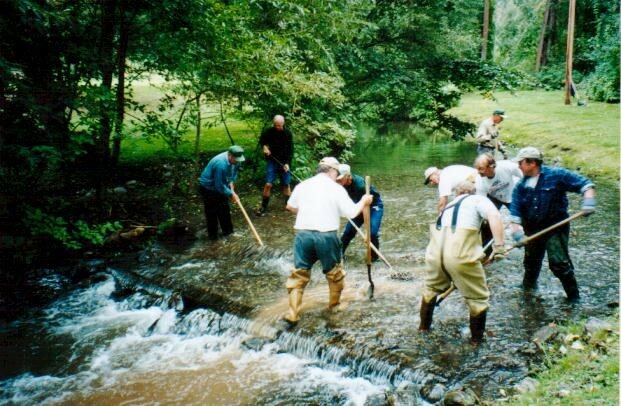 it is easy to find the fly you are looking to tie for that successful day of fly fishing. Each of these sections contain a brief description of the flies and some hints for successfully fishing that type of fly and all for only $20.